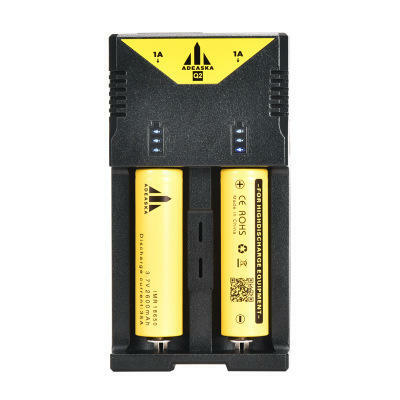 This product is a universal smart charger, which is compatible with almost all types of rechargeable batteries in the market, so that you can charge different batteries without several chargers.Q2 charger can automatically identify Li-ion , Ni-MH and Ni-Cd batteries and choose the best mode for charging. Q2 charger has 2 microcomputer control circuit, which totally independent of each other, so you can charge any type of battery on each slot. Q2 is a fully automatic smart charger, which automatically stop charging when full power. Q2 charger has a quick and safe charging speed by optimizing the charge current. Additionally, Q2 charger can also work as power bank. Q2 charger is capable of work well with its reliability and stability. - Certified by RoHS and CE.